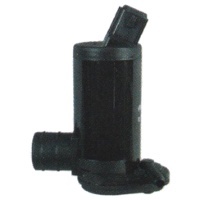 12 volt vane type dual outlet pump for both front windscreen and rear screen washers. Push fit into bottle. Replacement for some popular Ford cars. Must not be run dry.